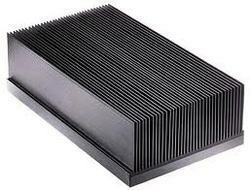 Our clients can avail from us a wide range of Bonded Type Heat Sink which is known for its various high end features such as high efficiency and longer service life. These are smooth in operation and resistant to the corrosion and abrasion. Our range of product includes customized bonded fins drawing, fins type heat sinks, customized bonded fins and customized bonded drawing fins. 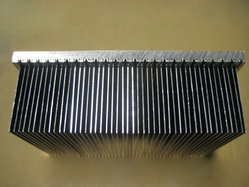 Bonded fin heat sink offer thermal design engineers many benefits over conventional extruded aluminum heat sinks. 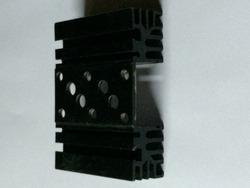 The increased fin count of bonded fin heat sinks is the result of a tightly controlled assembly technique, allowing fin manufacture as a process independent from base extrusion. 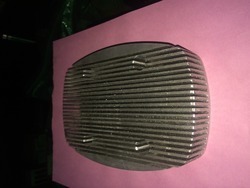 Bonded Type Heat Sink. 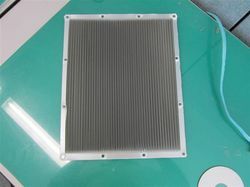 We are manufactures of Aluminum Heat Sinks. We offer an extensive range of customized bonded fins drawing which is available at industry leading prices. These are available in various sizes and can be customized as per the clients requirement. Our products are known for their robust construction, high tensile strength and corrosion resistance. We are engaged in offering a comprehensive range of customized bonded fins which can be manufactured as per the drawing given by the client. These are reckoned for their optimum quality and cost effective prices. Our products are ideal for various thermal solutions. 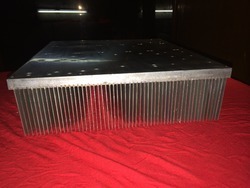 We offer a comprehensive range of fins type heat sinks which find applications in various industries These are manufactured using quality tested raw material and are available in various sizes. Our range of product is widely demanded by our clients for its various notable features such as optimum quality, excellent performance and corrosion resistance. Quality being a significant issue of concern for our entity, we are engrossed in offering to our customers a wide assortment of SMPS Enclosure Heat Sink . Bonded fin heat sinks offer thermal design engineers many benefits over conventional extruded aluminum heat sinks. The increased fin count of bonded fin heat sinks is the result of a tightly controlled assembly technique, allowing fin manufacture as a process independent from base extrusion. This process removes the conventional fin extrusion ratio limitation dictated by the strength of the steel in extrusion dies. Ratios greater that 6:1 (fin height above the base as compared to the narrowest open space between fins) are common place, but ratios of 8:1 and 10:1 can be done on a limited basis. Bonded-fin parts offer fin ratios as high as is practical, up to 30:1 and beyond. 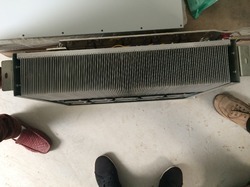 Increasing the number of fins increases the surface area exposed to cooling air, and greater exposed surface area means more heat transferred away from the electronics. We are engaged in offering a comprehensive range of customized bonded fins drawing which are known for their smooth operation and longer service life. 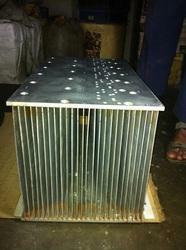 These manufactured using top quality raw material and are known for their optimum quality and cost effective prices. 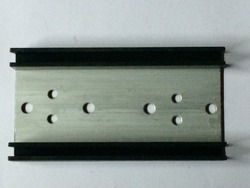 Our products are available in various sizes and can be customized as per the client requirement. 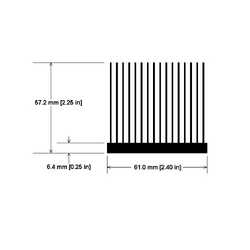 Quality being a significant issue of concern for our entity, we are engrossed in offering to our customers a wide assortment of Inverter Heat Sink .